With our home in Fort Collins, CO Firefly VoIP is proud to serve Denver, CO with professional and modern business communication devices. All of our service experts and technicians have a great deal of experience and certifications that allow us to be the premier source for business communication systems in Denver and Fort Collins. 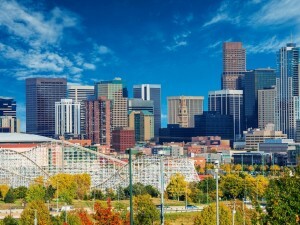 Many of our new and advanced systems can allow your Denver, CO business to operate with efficiency like never before. If you are looking for VoIP, Voice, or Data communication services for your business in the Denver, CO area let our experts at Firefly VoIP provide you with our services and installation today. At Firefly VoIP we place an emphasis on professional and modern communication devices that allow your business to be at the forefront of technology. We offer a large range of products and services that are sure to fit your business communication needs. If you are in need of expert installation and business technology services in Denver, CO be sure to call Firefly VoIP today.